Cahaba Dermatology & Skin Health Center (Tuscaloosa) - Book Appointment Online! Dr. Gunn and staff at Cahaba Dermatology & Skin Health Center would like to welcome you to our office. Dr. Gunn is a board certified dermatologist who has extensive expertise in the field of dermatology. She specializes in medical, surgical and cosmetic dermatology. 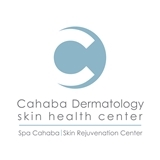 At Cahaba Dermatology, our mission is to advance the highest level of patient care and medical excellence in dermatology. Our goal is to provide you with outstanding comprehensive care for your entire family. We will always work to ensure your care and our services meet and exceed your expectations. At Cahaba Dermatology & Skin Health Center, you will experience exceptional medical service with a personalized approach from Dr. Groysman and her well-trained and dedicated staff. We welcome the opportunity to serve your health care needs and look forward to seeing you soon!